Jamieson House was built in 2008 and is well equipped to ensure that home-from-home feeling for all our guests. Set in the heart of the Cairngorms National Park, Aviemore is a great place to experience the beauty of the Scottish Highlands. This is the perfect place to sit back and relax after a fun filled day. Our dining room contains a large modern glass table which comfortably seats six. A highchair is available if required. Our family bathroom has a white 3 piece bathroom suite and shower. Perfect for that most needed relaxing soak! 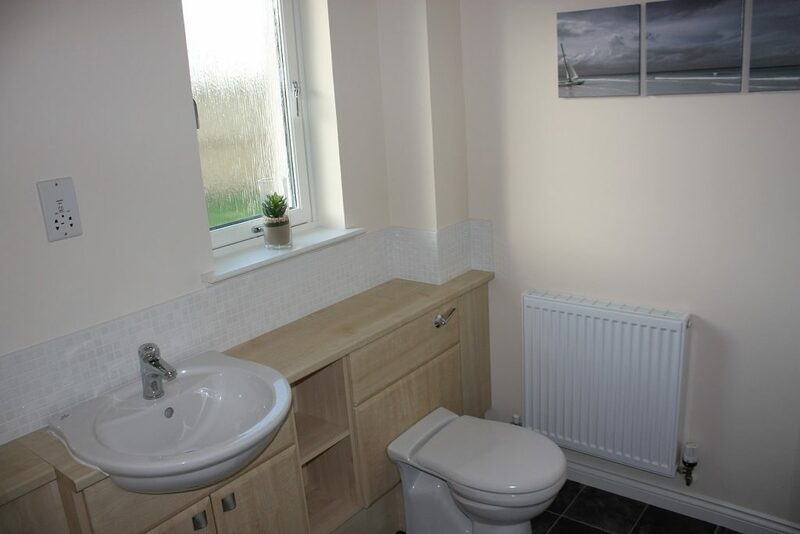 A comfortable and cosy double bedroom with built in wardrobes with outlook to the front of the house. 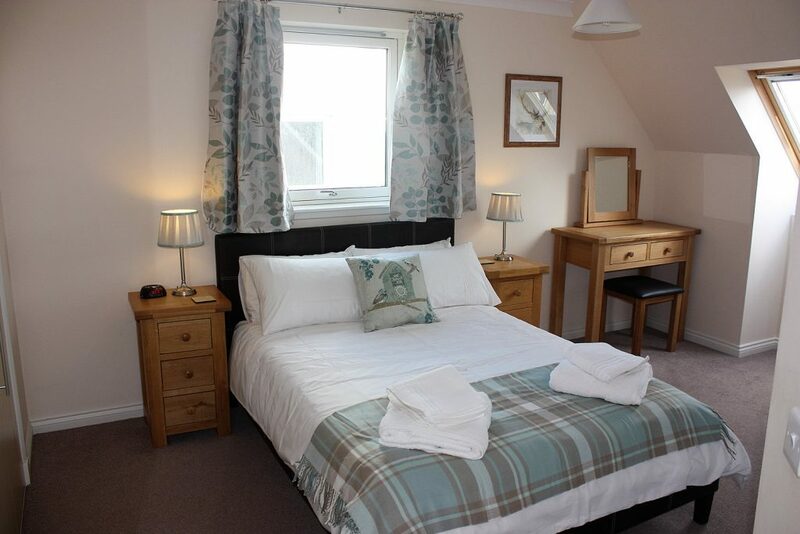 The master bedroom, with views over the Cairngorm Mountains, has an LCD TV, built in wardrobes and an en-suite with walk-in shower, WC, wash-hand basin and shaver point. A travel cot and stair gate are available on request. 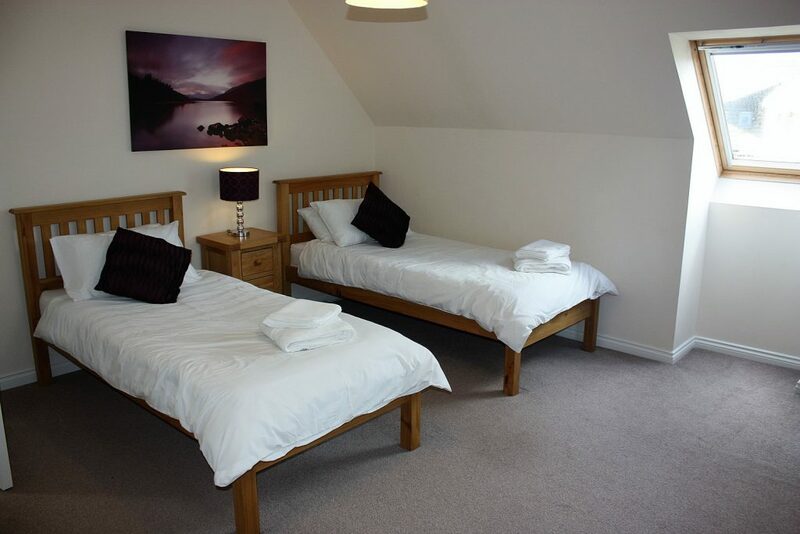 This spacious twin room has built in wardrobes and views over the Cairngorm Mountains.